October is a scary month. No I am not referring to the exams . Rather the end of the month marks Halloween. This is the time for the little spooks comes out to play. 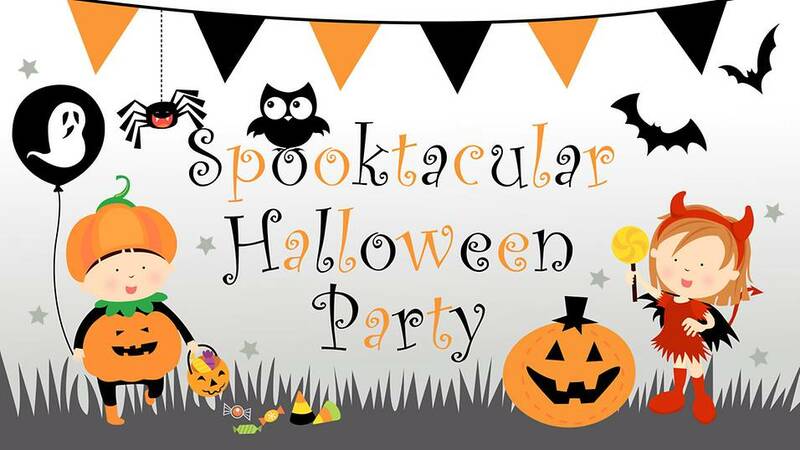 Here is a list of 'not so spooky' events for the kids to dress up and scare the living daylights out of the adults. In the gathering dusk, step into the twilight world of the monsters and follow their close encounter with the alien kind after an unfortunate UFO crash! 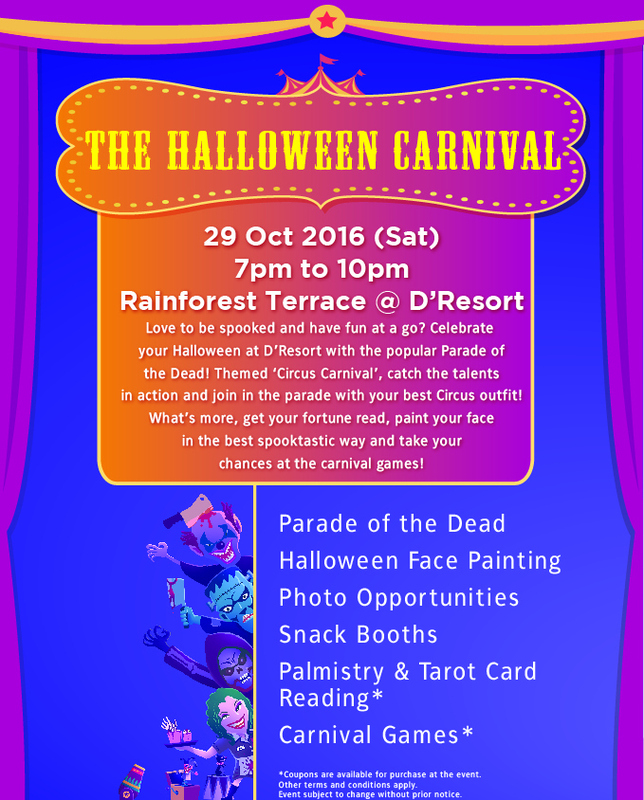 Come party in this thrilling out-of-this-world event for the family that will leave you wanting more! 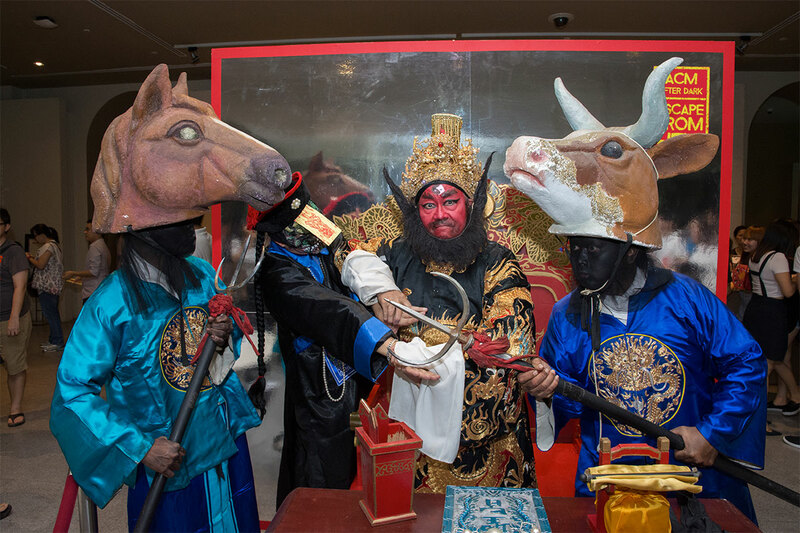 Asian supernatural and beliefs come to life at ACM’s well-loved annual Halloween offering. This year’s instalment will feature East-meets-West elements, supported by the Embassy of the United States, Singapore. Be thrilled by activities and performances inspired by the objects from the galleries. Hear haunting tales in the galleries, strike poses at dress-up booths and make your own spooky souvenir to take home! Want to go on a top secret mission this Halloween? Supervillains have invaded Science Centre Singapore. 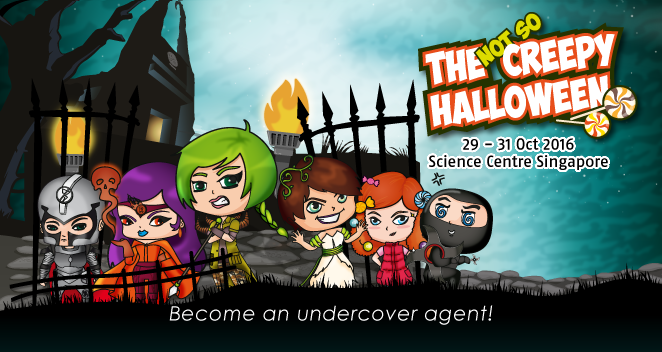 Bring your family down to Science Centre Singapore for an exciting mission as undercover agents to crack down what these supervillains are up to! It's time to suit up, agents! 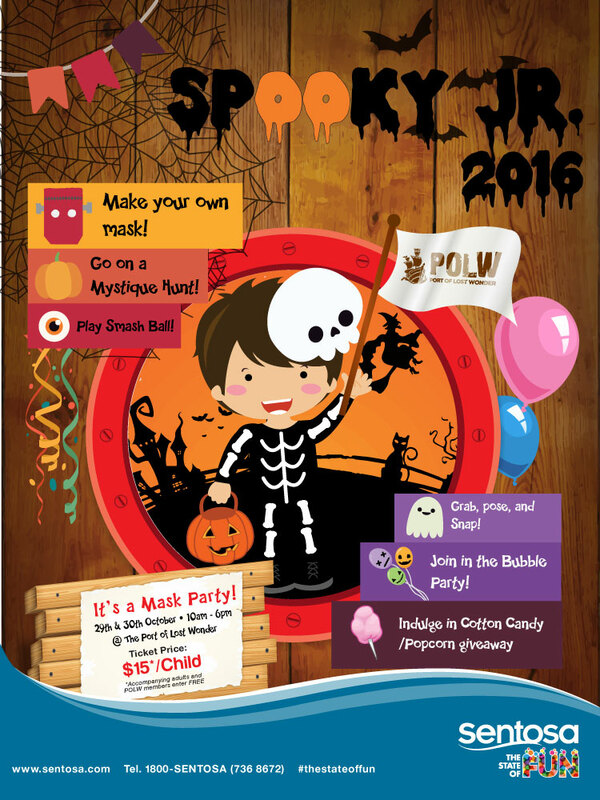 POLW annual Halloween fest is back. Join in the scary bubble party! 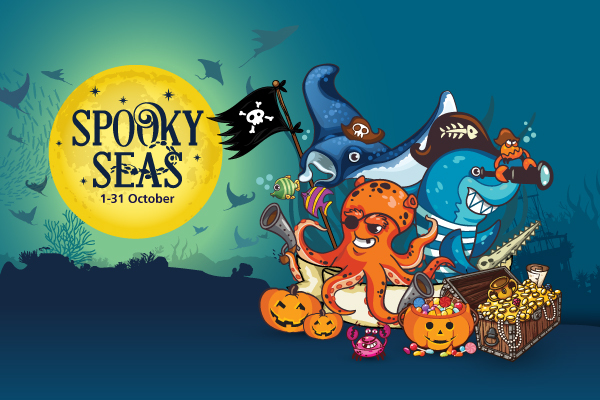 Head across the causeway for a Spook-tacular chills and thrills await the bravest of the brave who attend our Halloween Brick-or-Treat. 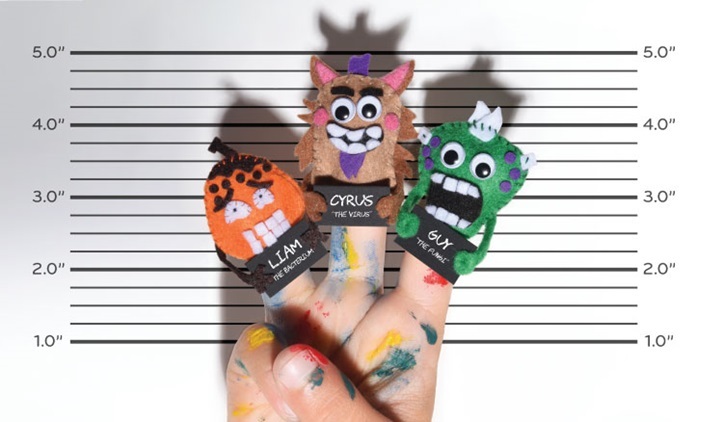 This year promises more spine-tingling fun and super-rific treats, games and giveaways with a legion of walking Halloween characters, LEGO® Building Activities, Brick-or-Treat Trail and more. Take home a special Halloween Commemorative Brick on every visit! 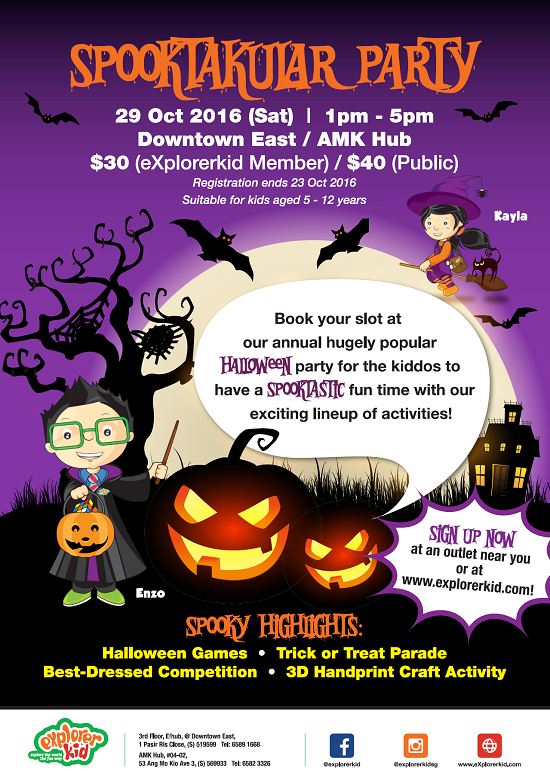 Kids dress up in FULL Halloween costumes gets in free! 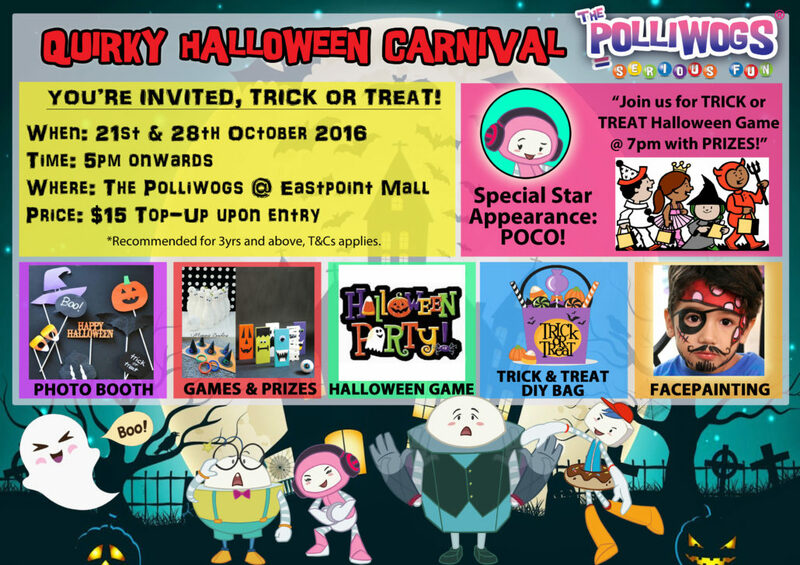 Kids dress in Halloween Costume can visit participating stores, shout 'Trick or Treat' and enjoy sweet treats from them! Great place! i love to visit this place with my family, thanks for sharing the informative post!